Let's try this again on Wednesday . Hopefully we won't get rained out this week. 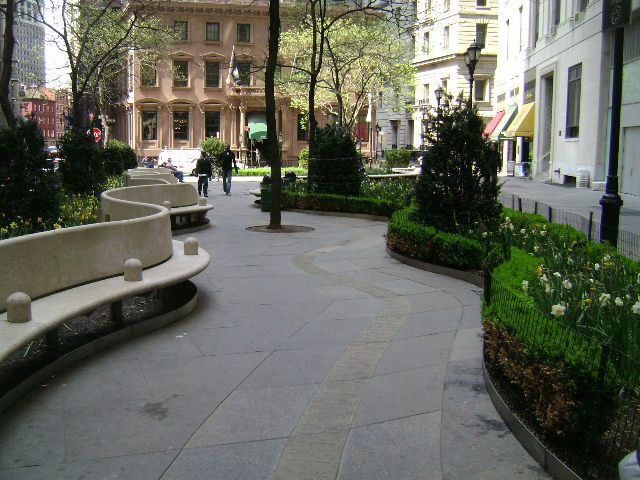 Hanover Square is a pocket of green in the middle of the Financial District in Lower Manhattan. Flanked by Pearl and Stone Streets the square has a beautiful brownstone building surrounded by new skyscrapers, giving us the opportunity to capture some of the oldest and newest buildings in NYC. 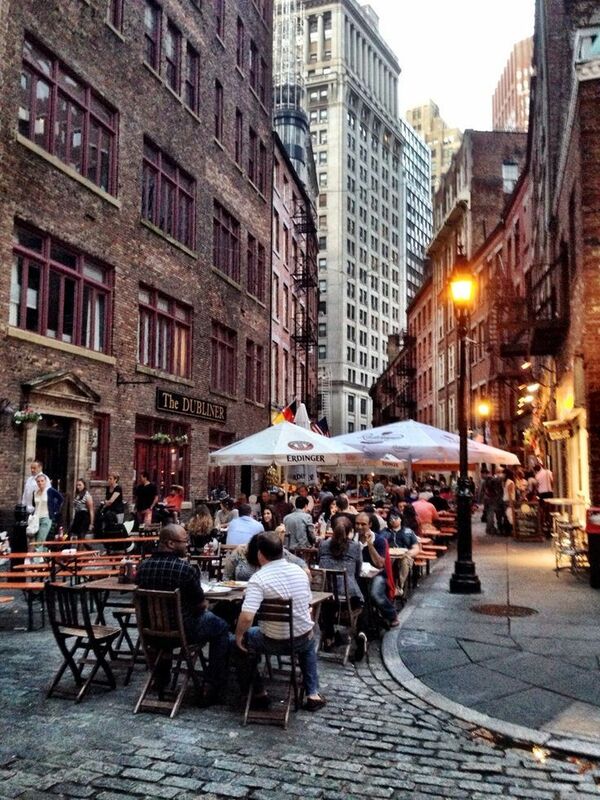 We will start in Hanover Square and then walk down the street to sketch Fraunces Tavern and then down Stone Street to capture the "scene" with the outdoor cafes on the cobblestone Street. If time allows we can sketch the old building on Old Slip. LOCATION: HANOVER SQUARE, at the intersection of Pearl, Hanover and Stone Streets. TRANSPORTATION: N, R, W to Whitehall Street. Walk north to Pearl, turn right and follow Pearl to Hanover Sq. OR 2. 3 to Wall Street. Follow Williams Street south to Hanover Square. Please RSVP directly to Raylie Dunkel at raylie@verizon.net. Bring a stool and lunch if you like, or purchase lunch along the way. Looking for us? Call/text Raylie at 201-978-6387.